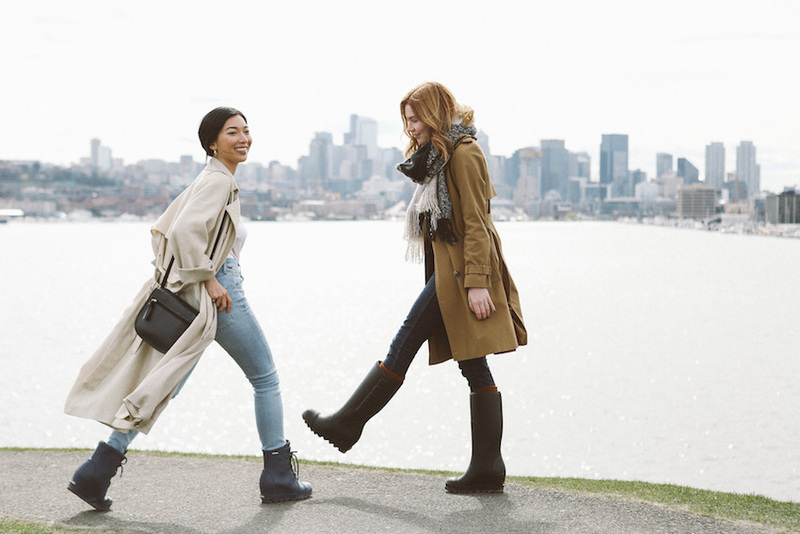 This Spring 2017, I partnered with SOREL for the first ever DestinationSOREL journey, visiting 4 incredible destinations around the U.S. with my friend and blogger Courtney Halverson of Pretty Little Fawn. 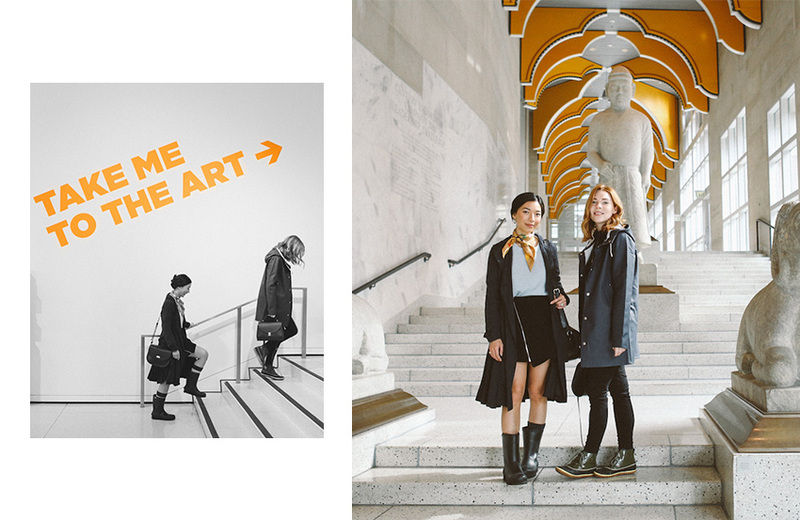 We ate, explored, danced, and shopped our way through Seattle, Austin, Charleston, and Los Angeles in looks we styled with our Spring SOREL footwear. 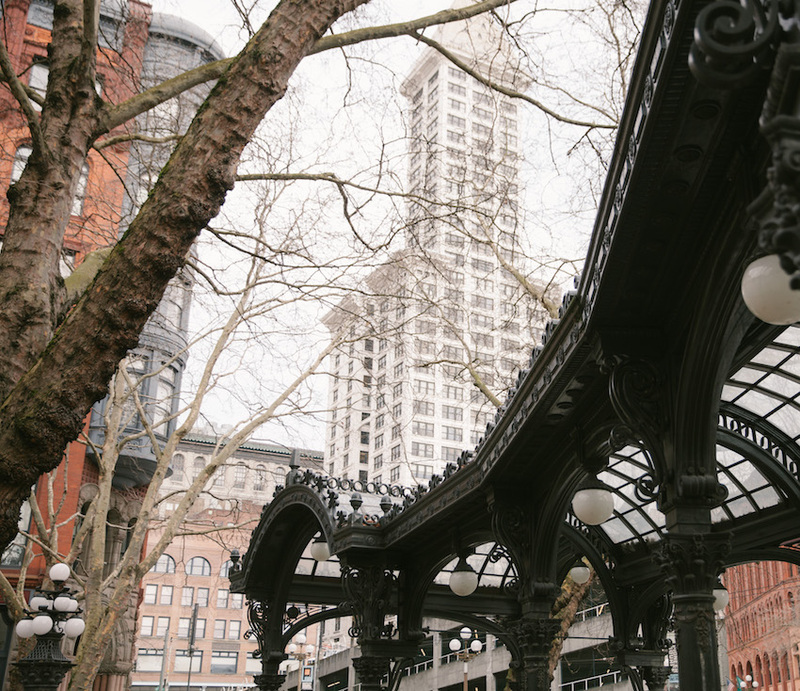 A historic city shrouded in art, architecture, and a bit of rain (okay, a lot), Seattle provides a visually extraordinary landscape for everyone. 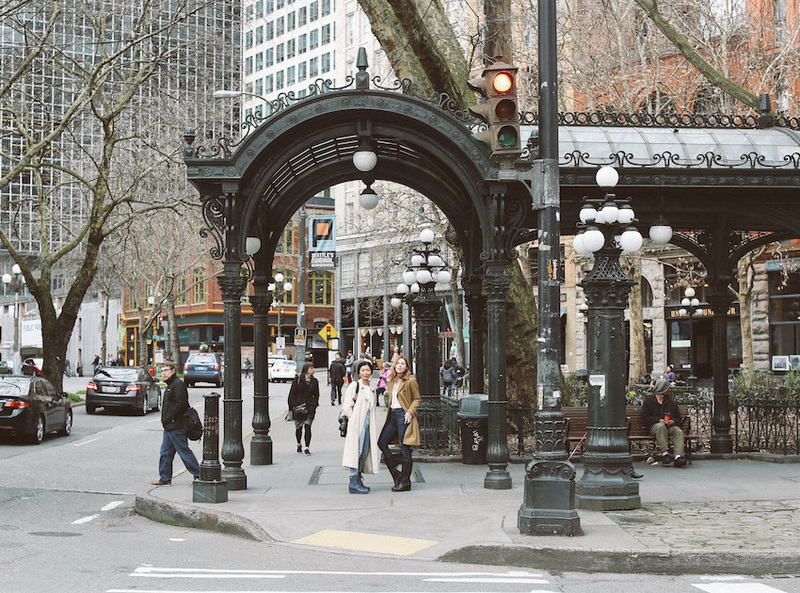 Art galleries, museums, and open air exhibitions pervade the urban city surrounded by natural beauty. And it’s true - you can find a great cup of coffee on nearly every corner. 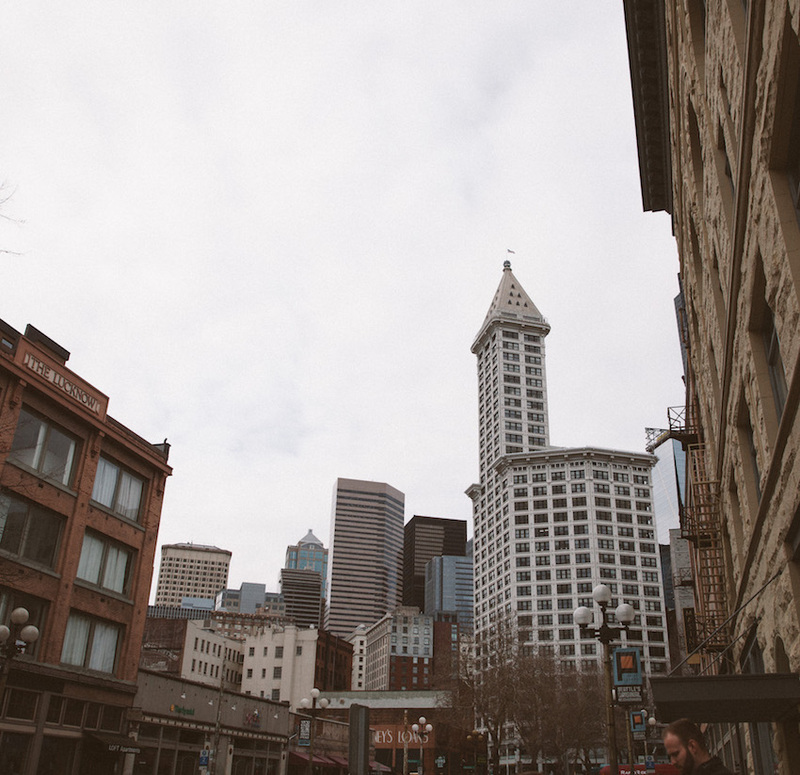 I can’t believe it has taken me this long to visit the beautiful city of Seattle; I was thrilled to check out the diverse art scene and see if their famous seafood is really worth the hype (spoiler alert: it is). 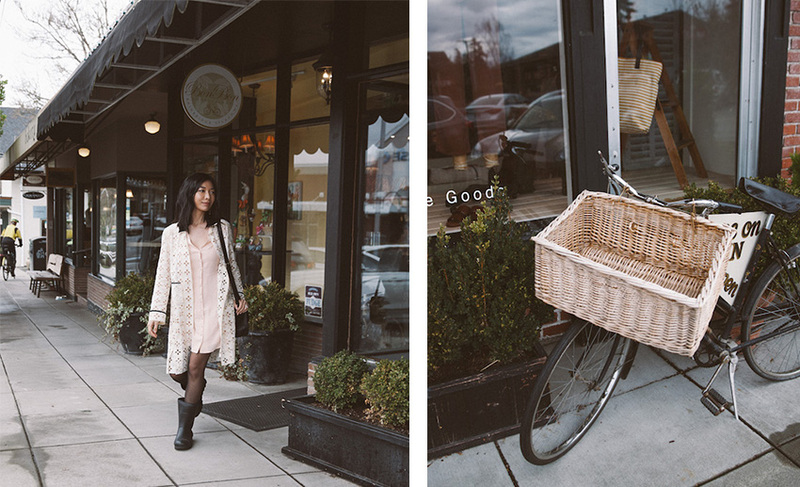 I highly recommend taking the short ferry ride out of downtown to Bainbridge Island and head to its main street, where you can take a quaint stroll along well-curated boutiques and art galleries with a warm latte in hand. The ferry ride itself offers spectacular views of Seattle’s skyline, including the Space Needle, and an impressive tour of waterfront mansions as you approach the island. 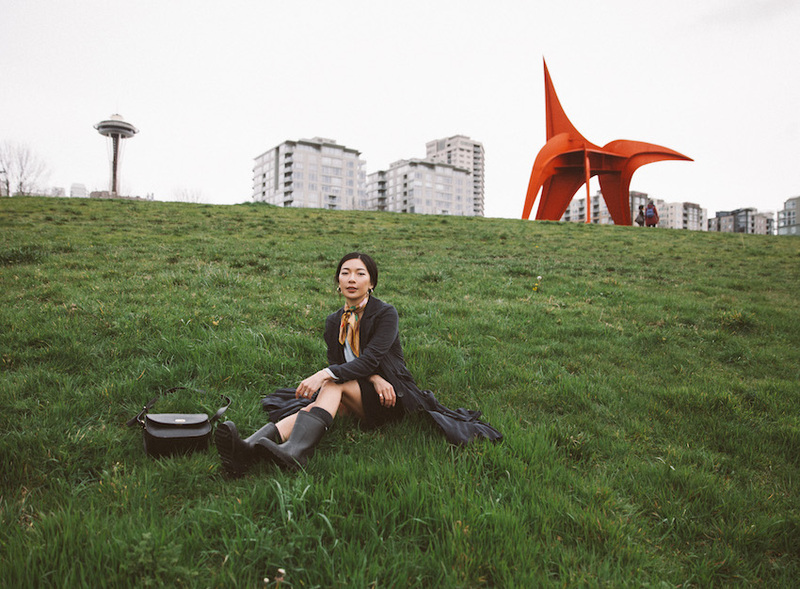 If you only had time for one art-related activity, I’d go straight for Olympic Sculpture Park, a stunning green 9-acre space to walk and people watch as you view massive sculptures amongst Seattle’s skyline and shoreline. Appropriately so, my love of oysters was born when Courtney and I spontaneously went to The Walrus & The Carpenter for dinner, in the charming neighborhood of Ballard. It’s a tiny, French-inspired restaurant that you can completely miss, but comes with its own cult following. We were lucky to walk in without a reservation at 5:30PM and get a table in less than 20 minutes for their happy hour. 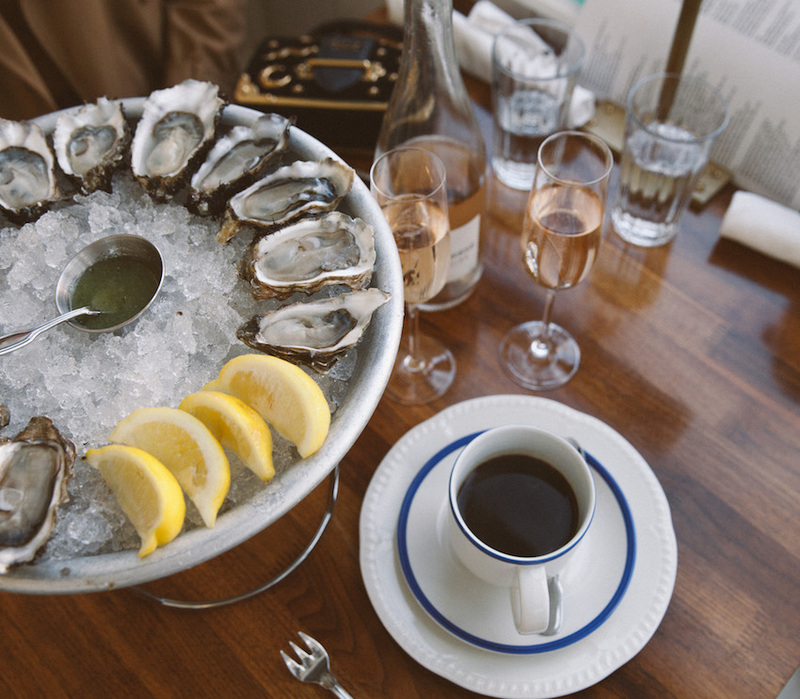 There is no better place for the fresh, savory oysters than the Pacific Northwest, so don’t leave town without stopping in to The Walrus & The Carpenter or Elliott’s Oyster House close to Pike Place Market. Of course, the rain came and went, but I prepared my Seattle wardrobe with warm coats and a couple pairs of stylish SOREL rain boots. For daytime, I wore my Joan Rain Short Boot with sheer tights or knee high socks and a casual dress; at night, I went with a little more height and style with the Joan Rain Wedge Boot, my favorite of the two. 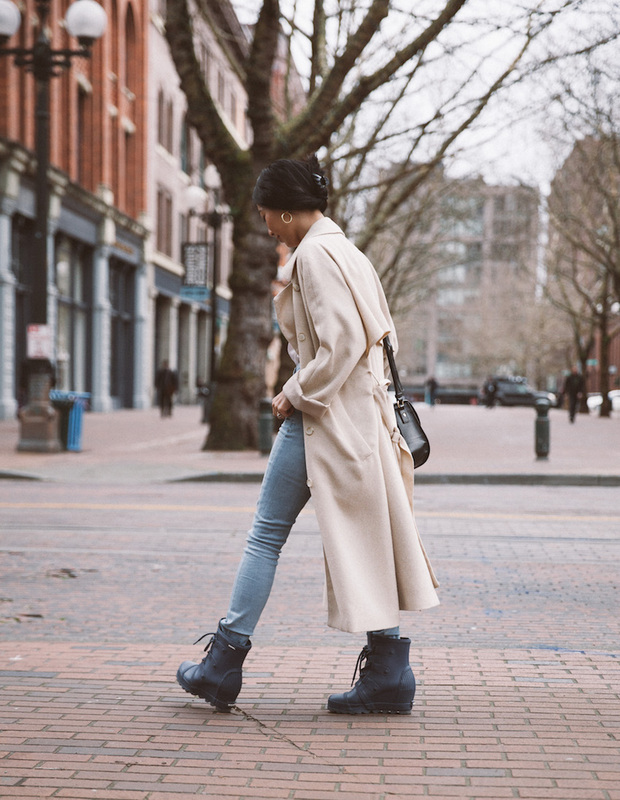 Shop the SOREL shoes in this post here! Austin, Texas is a place I’ve luckily frequented over the last year and it’s undoubtedly become my most favorite city in the U.S., because you’ll never leave without a grand time. 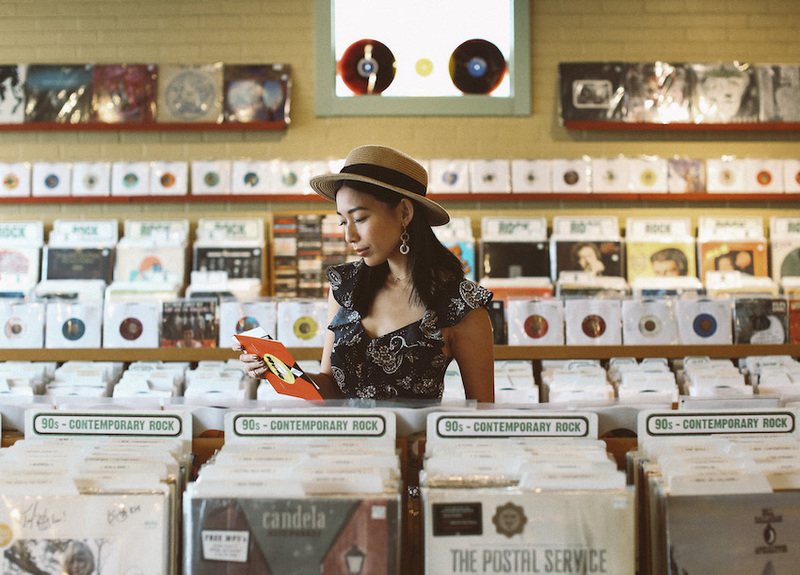 Austin lives up to its title as the Live Music Capital of the World with live music literally everywhere, on every block; you’re greeted with a soulful singer or lively band as soon as you get off the plane at the airport. How can you not have a good time with such a vibrant scene? First thing you do once you settle into Austin is to fuel up with Torchy’s Tacos. 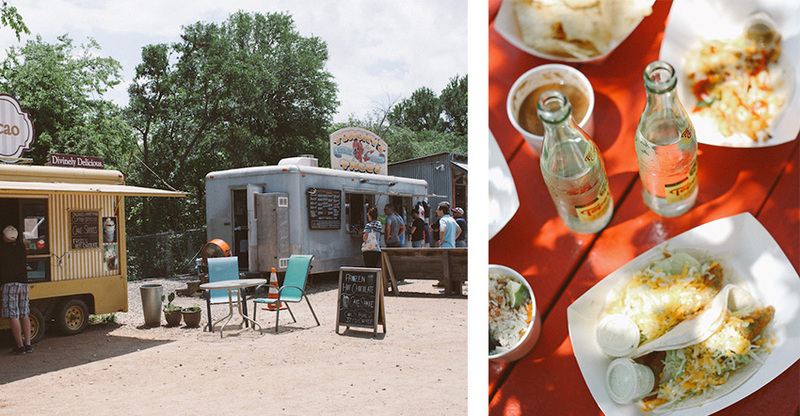 There’s so many locations around Austin, but try to go to the Trailer Park - it’s such fun vibes and you can enjoy the sunshine with an amazing Fried Avocado taco (my go-to). Wash it down with a Frosé - the millennial pink frozen rosé cocktail - at Hotel San Jose. 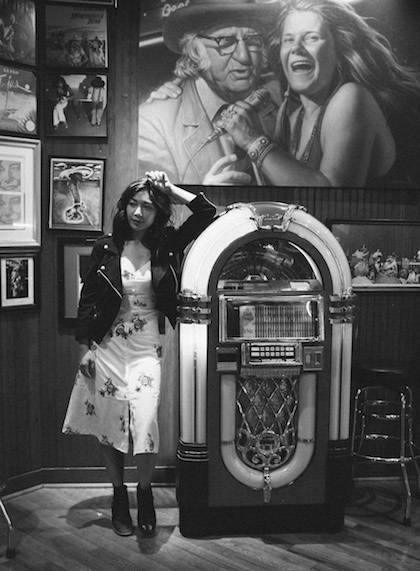 Then walk a couple blocks over and spend an hour at Feathers Vintage Boutique, the most impeccably curated store for 70s pieces and designer vintage. 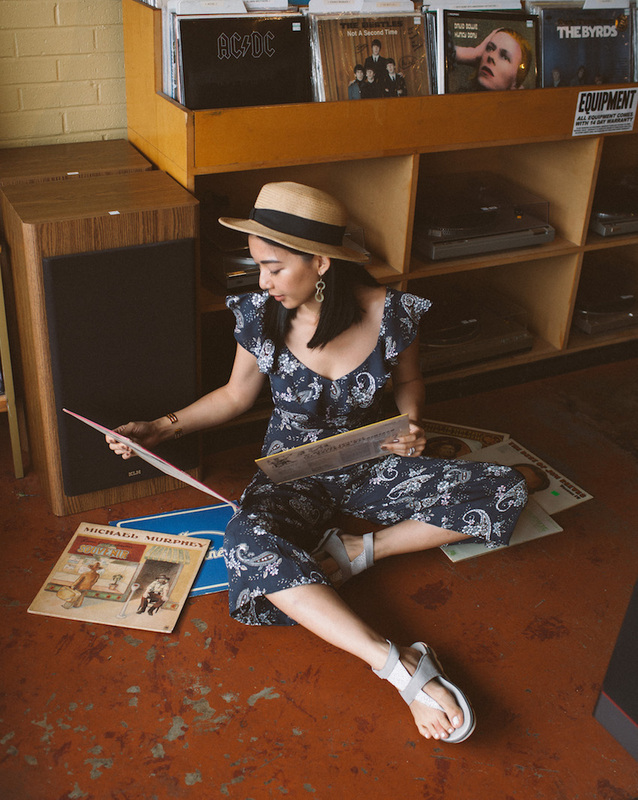 The selection is perfect for an inexperienced vintage shopper; no sifting or rummaging necessary, just pleasant browsing through organized racks of beautiful clothing at great Texan prices. If you’d rather go home with a vintage record, go to Breakaway Records for a score. 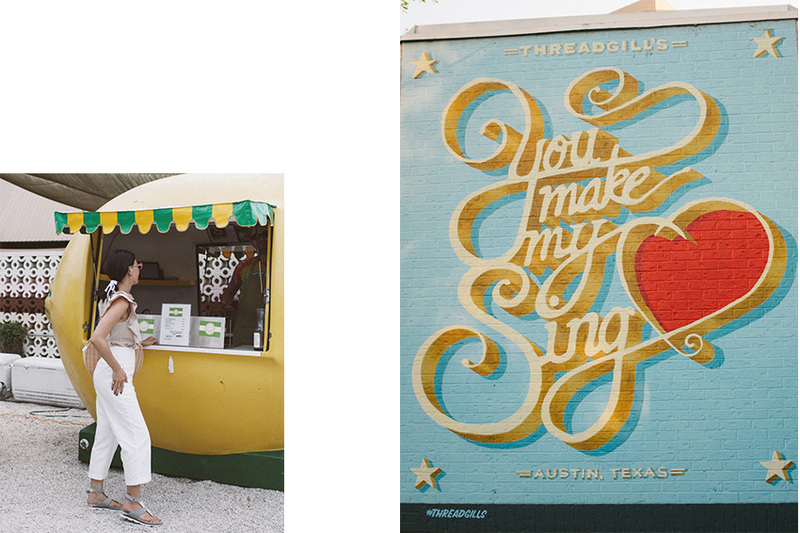 There’s plenty of murals along South Congress that deserve a pause, like the Willie Nelson one or “I love you so much”. 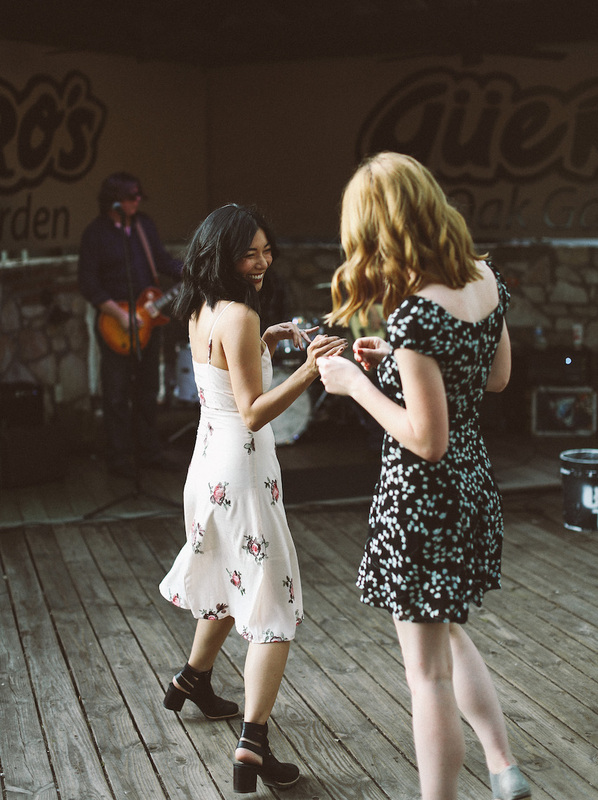 My favorite place to start the evening is Guero’s Oak Garden, a large outdoor seating area complete with a bar, dance floor, and live band right on South Congress. Their margaritas hit the spot. For a late night out, you must check out Rainey Street, where locals hang out in historic homes and bungalows converted into bars and music venues. I always start at Container Bar and make my way through the charming street. When we’re not eating, drinking, or listening to live music, we’re embracing the outdoors and all the activities it has to offer in Austin. 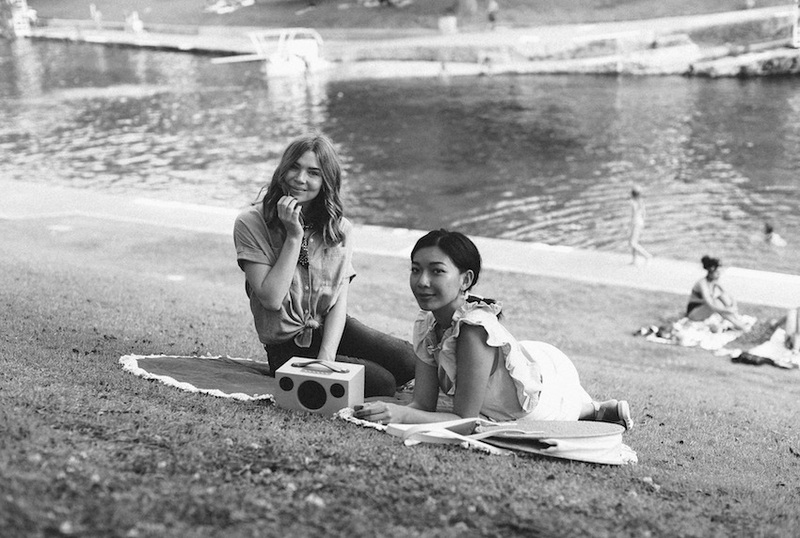 Barton Springs Pool is a beautiful outdoor swimming pool filled with natural spring water and a perfect place to cool down from the Texan sun. If you’re visiting Austin in the summer, don’t miss out on the Lake Travis boat party that happens every weekend - boats and double decker barges come together for the pinnacle of summertime fun. 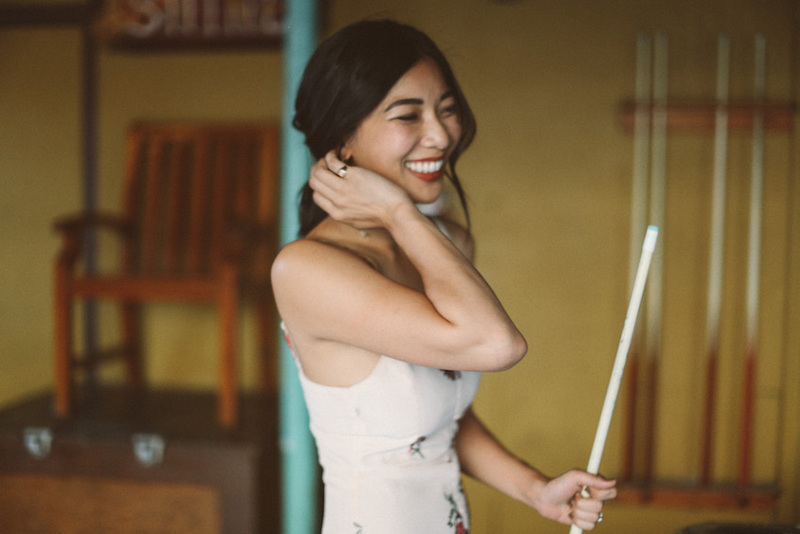 I was so happy to switch from cold-weather boots to fun sandals and booties for Austin! The Torpedo Ankle Strap Sandals were perfect for traipsing around the city all day; its light dove shade and textured details work so well with my neutral wardrobe. For each evening, I wore my Addington Booties with a mini dress. The cutouts are fashion-forward and it was a breeze to dance in these babies all night long. Murals - Willie Nelson, 6th St. 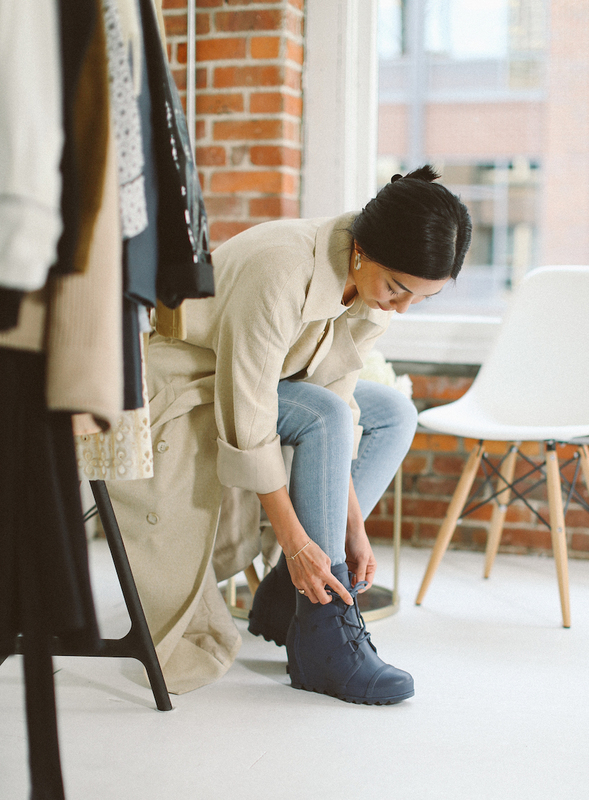 Check back next week for DestinationSOREL Part 2: Charleston and Los Angeles! These pictures of you two are darling!! These Pictures are amazing, looks like you had a great time. Loving the way you styled it up. Great post on famous art galleries. It is inspirational and helpful.